The Smith Recycling Milton Keynes Lightning signed Canadian defenceman Nelson Armstrong during the off-season but the team are still awaiting his arrival. Visa issues have impacted a number of teams in the Elite League, with the Lightning having had to wait for head coach Doug McKay far longer than they had hoped for. McKay, fortunately, received his visa and arrived prior to the opening weekend of the league season but one of the players he is bringing to the team is still waiting to receive his own visa. 24-year-old Armstrong is expected to bring with him a good pedigree after playing his part in leading the Florida Everblades to the Brabham Cup as regular-season champions in the ECHL last season. 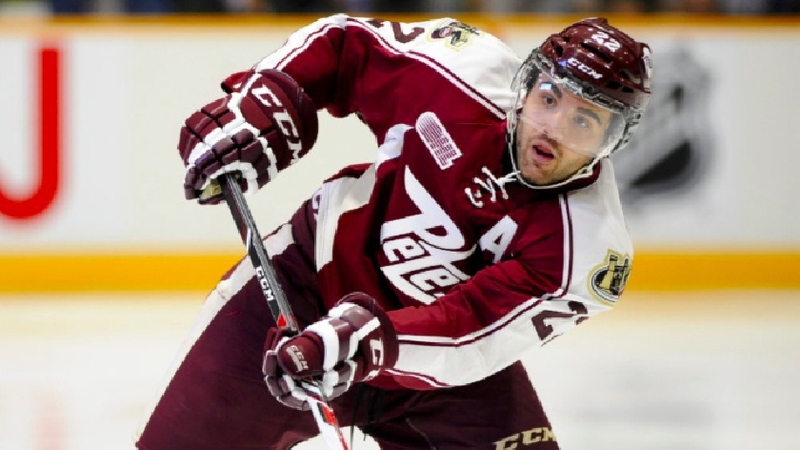 The former Peterborough Petes alternate captain is still waiting in Canada to receive his visa but should be ready to jump into action as soon as it arrives. Coach McKay spoke of Armstrong’s situation after the Lightning’s recent home opener against the Sheffield Steelers. Having Armstrong arrive in the country will be a huge boost to McKay’s team, who are currently icing just four full-time defencemen. And McKay himself confirmed that he is looking to add to his squad even after Armstrong arrives. But he is waiting to find a player that will suit his style of play and the dressing room atmosphere he is instilling at the club.